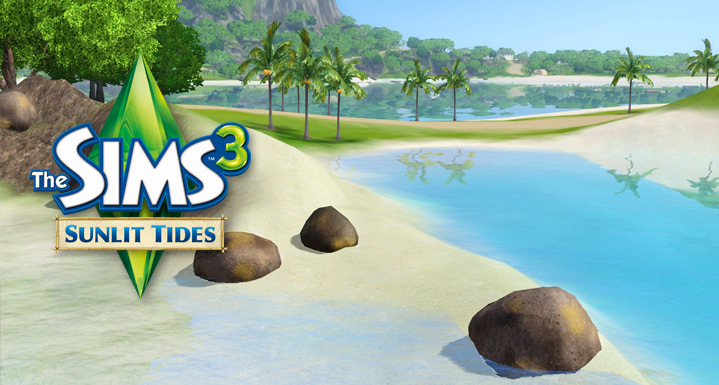 Explore an All-New World – Discover the Wonders of Sunlit Tides! A modern downtown gives way to a lush jungle sprinkled with exotic bungalows and waterfront vacation homes nestled between the gentle waves of the ocean and a sun kissed lagoon. Enjoy a picnic on the beach, plan a secret rendezvous at an island waterfall, or cozy up to a loved one in the shade of a palm tree and watch the sun sink into the sea. Will your Sims find true love, or just have fun trying? All New: Steam-It-Up Sauna – Take a break from the worries of the world and refresh your body, mind, and soul with a tranquil sojourn in a little slice of paradise! Experience a relaxing hydrotherapy soak in crystalline waters, rejuvenate with a revitalizing mud bath, or simply sit back and enjoy the steam. The Steam-It-Up Sauna will soothe away your aches and pains and put your worried mind at ease. So sit back, relax, and experience the exhilaration of paradise. 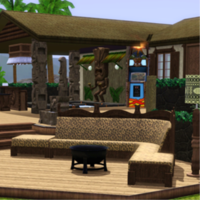 The Gold Edition of The Sims 3 Sunlit Tides combines the Sunlit Tides World and the Serenity Retreat Venue to create the ultimate tropical hideaway! 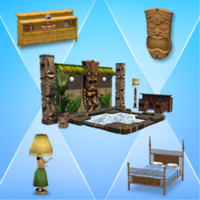 The standard edition of The Sims 3 Sunlit Tides including the Steam-It-Up Sauna gameplay object, new items, new locations, and new Sims with brand new stories! 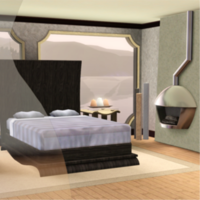 The Serenity Retreat venue featuring the Infinite Zen Massage Table gameplay object, plus exciting new items! All new Sunlit Tides items! Looking for recruits to relocate immediately! I am Alana Kahale, and I am proud to be the third generation running the family business here in Sunlit Tides! So what do we have to offer? How about generous salaries, a fun and challenging work environment, and a full relocation package to the beautiful island of Sunlit Tides! On your days off enjoy world class fishing, pristine beaches, and sultry steams in the sauna. All houses feature stunning ocean or lagoon views. Interested yet? Strong athletic skills a must. Excellent communication skills – verbal, written, and groveling. Demonstrated ability to manage and communicate through bribery. Previous work experience involving conspiracy, intimidation, or scandals preferred. Please apply in person at The Lair, Sunlit Tides. Look for the cleverly disguised volcano atop a mountain. If you fall off the cliff…you’ve gone too far. Complement your Sunlit Tides experience with these amazing sets.